ISPRS Council would like to thank all scientists who submitted proposals, and to congratulate the successful applicants. The decision to allocate more funding than originally budgeted reflects the high quality of the proposals received, and ISPRS Council’s desire to support and pump-prime scientific endeavours across all Commissions that submitted proposals to the call. Council looks forward to hearing of the future success of the funded projects and reporting the outcomes through this and other media in due course. Every country has its history and its legends. One such Czech legend speaks about the name of our nation and language - Czech nation and Czech language. Czech was name of our forefather who together with his brother Lech brought his nation to our land. 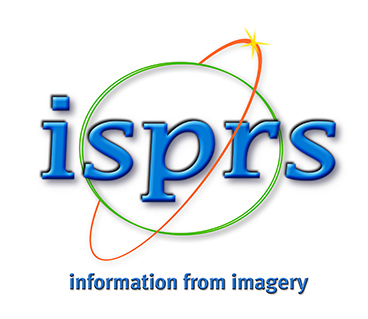 Welcome to these two latest members of ISPRS! Financial planning and management within ISPRS is done according to the ISPRS Financial Policy. This paper discusses the establishment of an annual budget, regular reports by the Treasurer to the Council and the General Assembly, and formal operating policies and procedures. It is prepared and regularly updated by the Treasurer, before approval by Council and the ISPRS Financial Commission. The last update was presented to Council during the recent Council Meeting held in Antalya, Turkey. Council approved the changes, and so did the Financial Commission. As Marie-José Lefevre-Fonollosa, the ISPRS Financial commission Chair, writes "After reading the document and consulting the other members of the Commission is my pleasure to inform you that we approve terms and spirit of the ISPRS Financial Policy. We find that is a good guideline, clear and complete. So we agree this proposal." "Advancing our Role in the Geospatial Revolution"
is a dynamic international organisation that has twin responsibilities: (1) keeping up with technology and (2) ensuring its usefulness for cultural heritage conservation, education and dissemination. 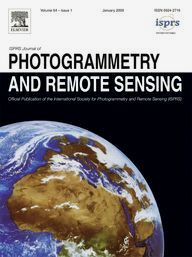 This dual role is exhibited in our parent organizations - ICOMOS - International Council of Monuments and Sites (www.icomos.org/ ) and ISPRS - International Society of Photogrammetry and Remote Sensing (www.isprs.org/ ). This means a marriage of Science and Culture. We recently issued the first issue of the newly established newsletter which is aiming at freely reporting news, projects or disseminate any information related to recording, documentation of conservation of Cultural Heritage, see here or details. Enjoy the reading of the CIPA newsletter! Future Earth is an ambitious research initiative on global sustainability initiated by ICSU - the International Council for Science, see www.icsu.org/future-earth. Recently, the Future Earth Initial Design Report has been published. It is available for download at http://www.icsu.org/news-centre/news/top-news/final-report-of-the-future-earth-transition-team-published. Structuring the research agenda around three central themes – dynamic planet; global development; transformations towards sustainability – the report details the key research questions that will be addressed in each area. At its core lies a new partnership between science and society to co-design research priorities and co-produce knowledge. To ensure that the research conducted under the umbrella of Future Earth is actionable, relevant to stakeholders and done to the highest scientific standards, the team also designed a unique governance structure for the initiative. Led by a multi-stakeholder Governing Council, the ultimate decision-making body, Future Earth's direction will be guided by a Science Committee and an Engagement Committee. The Science Committee will provide scientific guidance, ensure scientific quality and guide the development of new projects. The Engagement Committee will provide leadership and strategic guidance on involving stakeholders throughout the entire research process from co-design to dissemination, ensuring that Future Earth produces the knowledge that society needs. The recommendations of this report are now being taken forward by the Future Earth interim secretariat, and the full initiative is expected to be up and running by the end of 2014. The Defence Geospatial Intelligence Meeting 2014 is held in London on Jan. 21-23. As in previous years, ISPRS is happy to be one of the supporting organisations of this major event. will begin with a pre-course seminar, hosted by FBK in Trento, Italy, from 3rd to 4th of March 2014. The seminar will be followed by four two-week distance e-learning courses. EduServ courses are followed over the Internet from any location and require about thirty hours of online study. They are completed over a period of two weeks during Spring of each year. 2014 is the year of Symposia in ISPRS. A complete list of all Symposia can be found at www.isprs.org/society/midterm.aspx. 26-Nov-2013 PhD position on "Interactive Natural-Hazard Database for the Central Anatolian Plateau, Turkey"